€218.00+ Did someone say LED? Great speeds and looks, one downside it the LEDs are always "pulsing" I think the word would be and you cannot sync them together or turn them off or static. Amazing looking RAM, the leds add a nice touch too my buil, 2666MHz was more than fast enough for me. 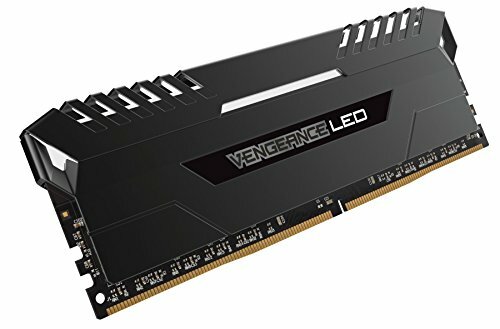 LEDS fit the build nicely, have nothing bad to say about this ram. great memory, looks good with the white leds along with the white/black themed build. Fast memory, 2666 MHz. It's pretty good ram I guess. Lights are nice- would be better if controlled though. Also there's a slight gap between the heat plate thing and the light- which sorta give image of a cheap McDonald's toy. But it is overall attractive ram. Very good looking ram. 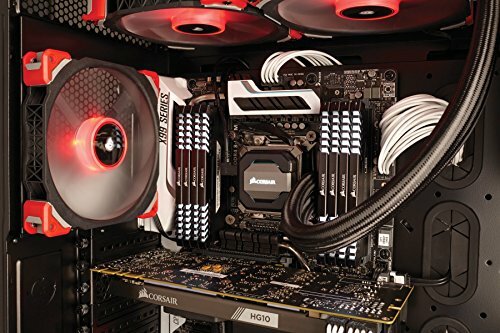 It's tall compared to other RAM sticks, so if you do use an air cooler you may have some compatibility issues. Micron IC's so they don't overclock as high or have as tight of timings as sticks with Samsung IC's. That aside, I was still able to push them further than XMP. My motherboard has the "Memory Try It" presets and I used the one for Micron 3000MHz, which set the main timings to 16-18-18-38. Passed MemTest86 and 8 hours of RealBench. 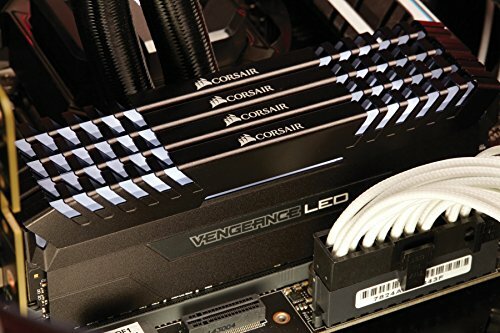 The LED's can be configured with Corsair Link, but your options are limited. You can change the speed of the flashing and the brightness, that's about it. They still look good though. I've got them static instead of flashing and lowered the brightness a touch. Got these at a really good price during a period of insanely high prices. Would have preferred 3200 but the price difference was absurd to me. Works great, my only gripe is that they don't shut off in sleep mode. Corsair's LINK software let's use adjust the brightness and speed/fixed but you can't turn them off or do anything else.